I have a new website specifically designed for ordering custom, handmade, tailor’s pressing hams and seam rolls! Now it is easier to envision what your fabric choices may look like together as a finished pressing ham or seam roll. You can play with different fabric color combinations and order something that reflects your personality. I sell custom pressing tools on Etsy however, at this site you will not need to register or create an account, and you can pay through Paypal or Google Checkout. 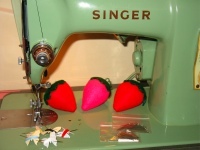 A personalized item is also a great gift for the sewist who has almost every sewing tool available. Click on the picture below and have a look, have some fun! A peek at the fabric swatch page at the Stitch Nerd Custom Shop! 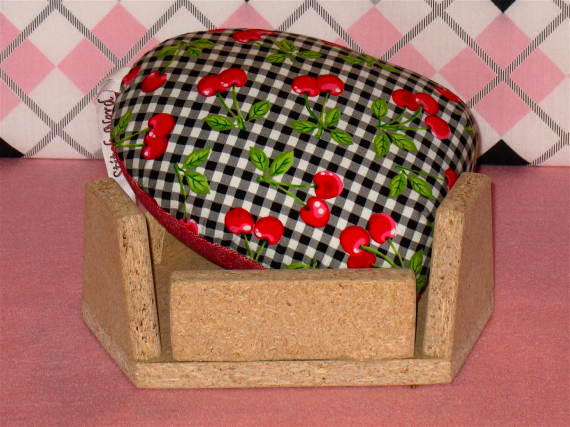 Tailor’s Pressing Ham Holder – Buy yours at the Stitch Nerd Custom Shop or the Stitch Nerd Etsy shop! Anyone who sews and uses pressing tools regularly, is aware that pressing hams and seam rolls can sometimes be challenging to hold in place. I would like to introduce you to a new product in my Etsy Shop, a Ham Holder. Visit my shops for more details and how you can get yours!